Michael Fischerkeller "Appropriation for the Art of Politics"
Appropriation has a strong historical association with street art. 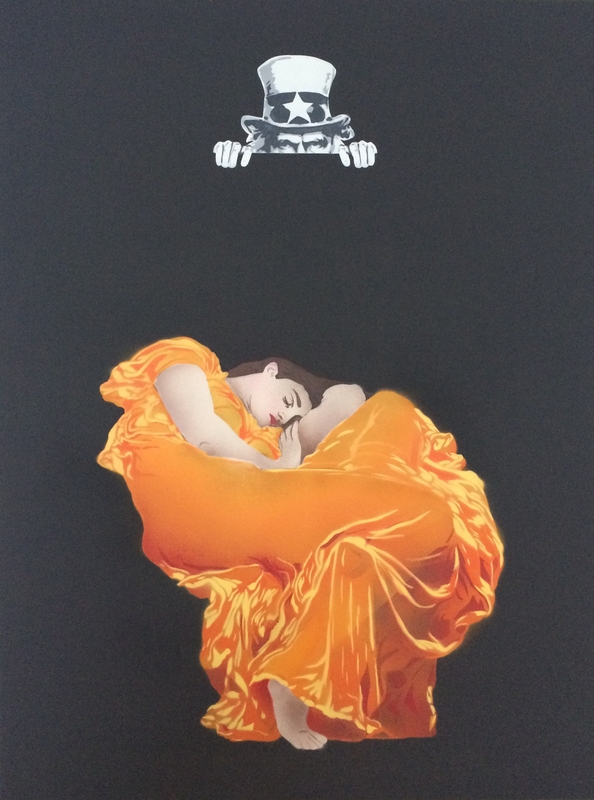 In this street-art inspired series, images from centuries-old artwork were appropriated and embedded into coarse street-art compositions in ways that accommodate the painting instrument - acrylic spray paint - and the presentation of a contemporary issue. 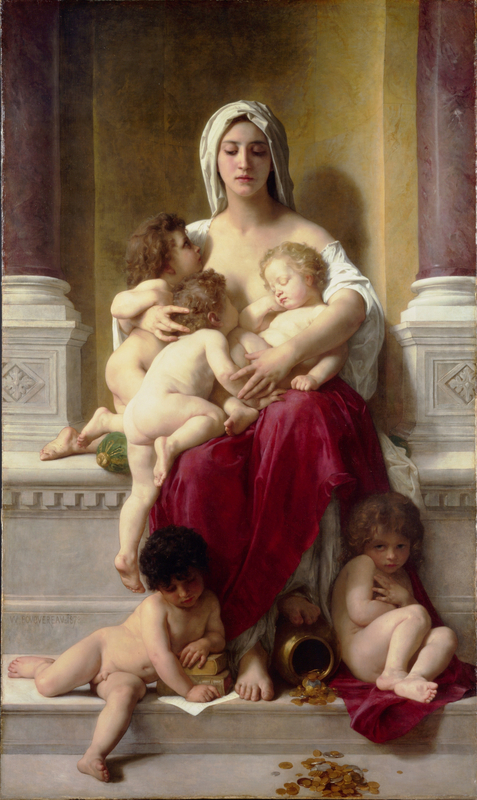 B Such accommodation was found in a pose, an expression, a symbolism, or an allegorical representation. Consistent with street artbs rebellious undertone, as this imagery was often created for royal courts or the social elite its appropriation today in the service of socially-conscious work is particularly fitting. Appropriations and their rationales are offered below. 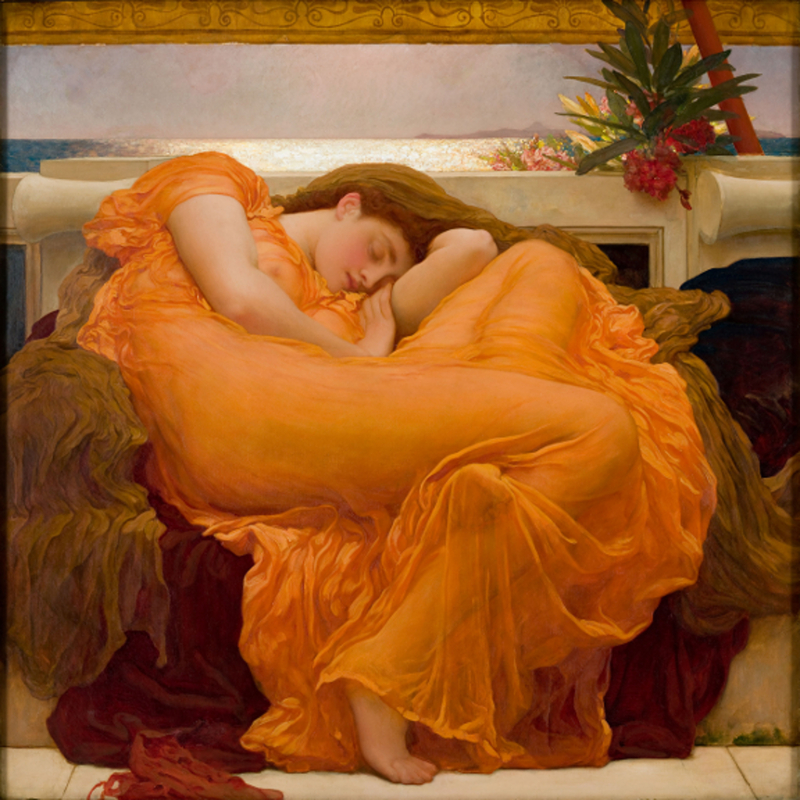 Flaming June includes a pose and expression indicative of blissful sleep- a restful woman without a care in the world. B Leightonbs figure supports a commentary on the omnipresent surveillance to which United Statesb and other statebs citizens are subject. 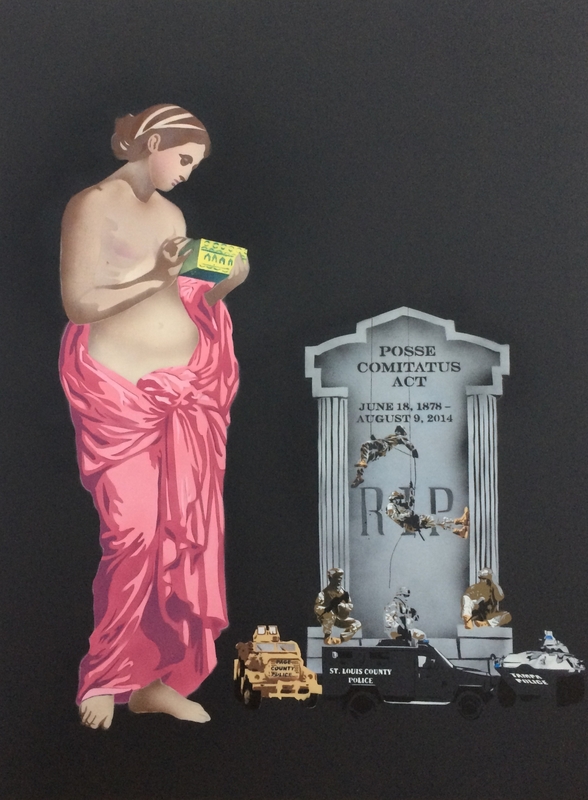 When juxtaposed with Uncle Sam, the composition raises the question of whether constant surveillance provides a false sense of security as such surveillance imposes upon individual liberties for the benefit of government and private sector omniscience. The Charity is a representation of charity and offered an opportunity to comment on immigration reform in the United States. Unaccompanied immigrant children have been poring over the United Statesb southern borders, overwhelming the system in place to manage them. In many instances, young children are being placed in temporary facilities designed for adults. B Bougeureaubs central figure was appropriated to suggest a more compassionate approach to accommodating the children, and the children in his original were replaced by Latin American children. 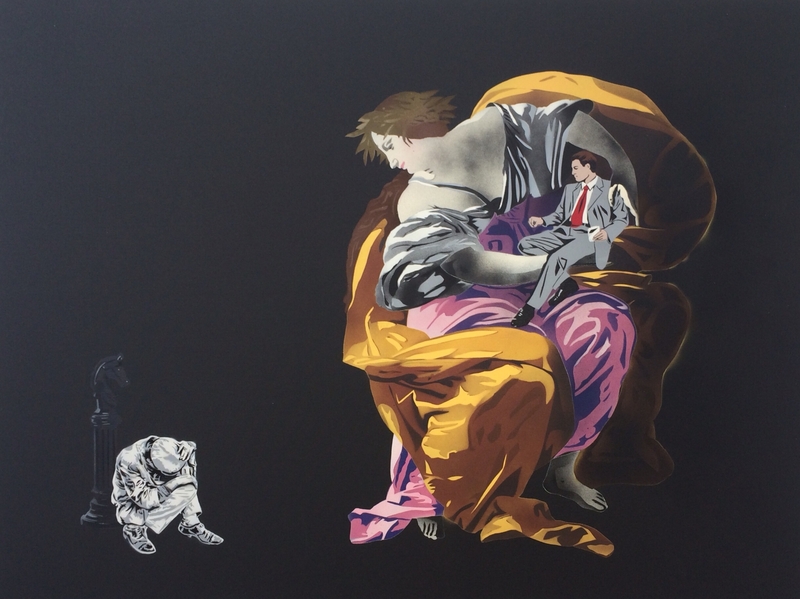 Allegory of Wealth is a representation of wealth and offered an opportunity to speak to an issue with which many countries are wrestling b the ever increasing wealth gap dividing their societies. 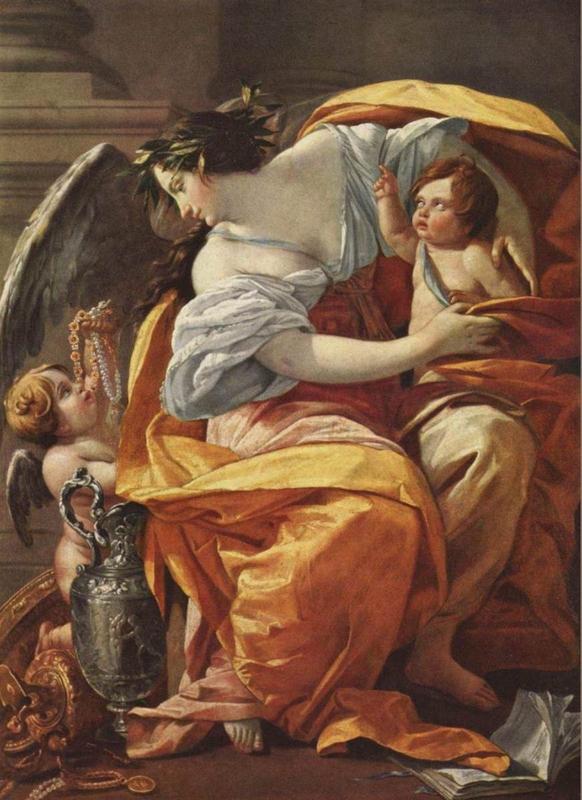 "Wealth" was appropriated from Vouet's painting and placed into a composition counterposed aside a significantly smaller homeless man, with the size and station differences being representative of the wealth gap. 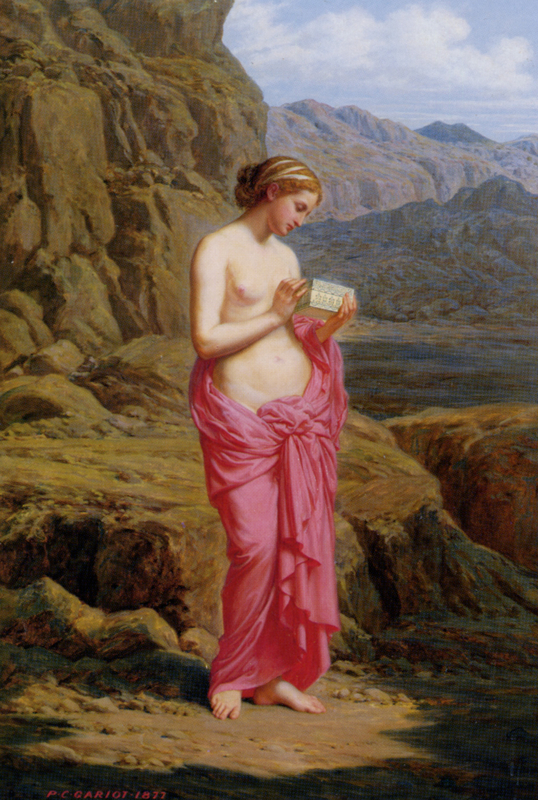 Pandora's Box is symbolism for unanticipated troubling consequences that may result from onebs choice(s). As such, Gariot's composition offered an opportunity to comment on unexpected consequences of the US government facilitating the arming of local police forces with bexcessb military-grade equipment, the visible manifestation of which was seen in the police response in Ferguson, Missouri, following the shooting of Mr. Michael Brown. An alarming consequence of this facilitation was the undebated obsolescence (or death) of the Posse Comitatus Act which forbids armed forces from being used in domestic policing operations absent presidential or congressional approval. 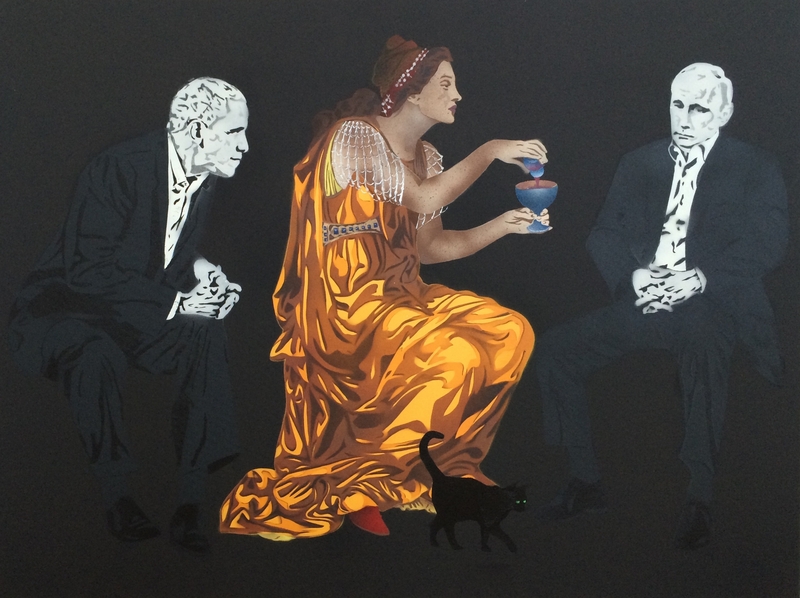 The captivating imagery of a sorceress in DeMorganbs The Love Potion offered an opportunity for a potent commentary on the state of US-Russian relations. With President Putin returning to aggressive tactics reminiscent of the Cold War Soviet Union, many hawkish US politicians were exclaiming that President Obama was following a strategy of appeasement by responding to Putin with select sanctions. 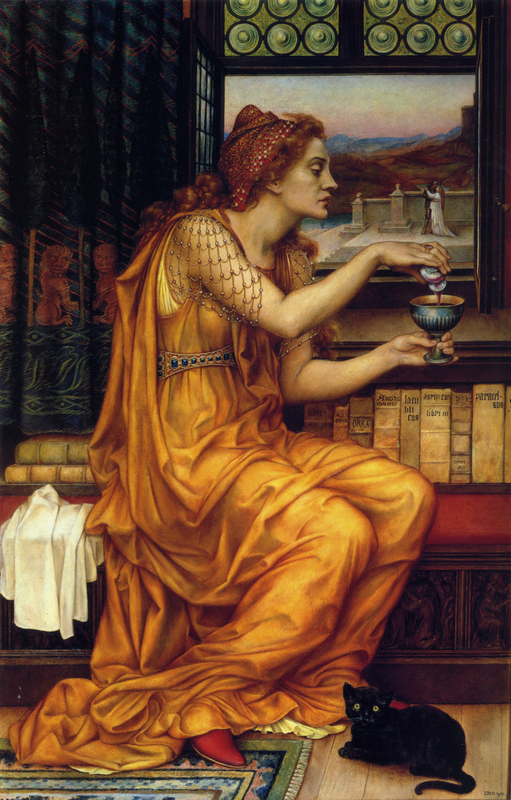 The sorceress in The Love Potion was appropriated into this composition to symbolize such a strategy. 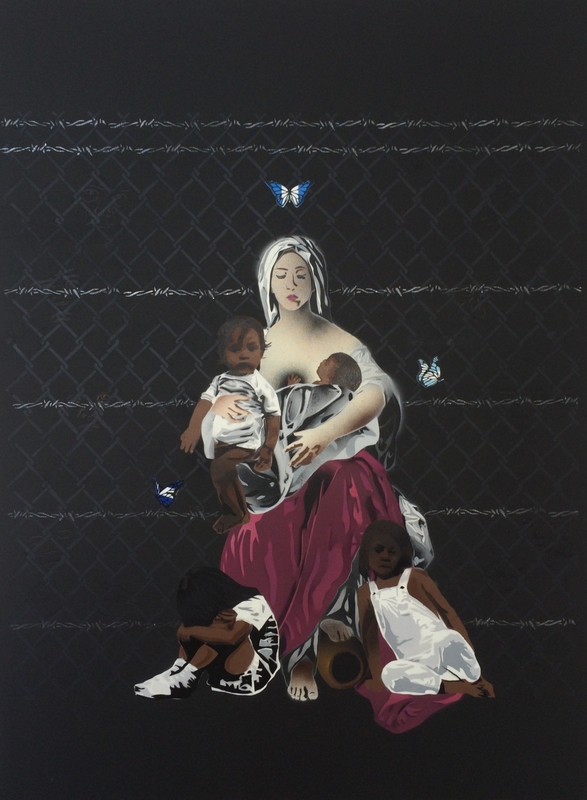 Michael Fischerkeller is a Washington Díbased artist who composes street-art inspired artworks to heighten awareness of critical political, social and economic issues and provide a voice for the disenfranchised who are most often and most severely impacted by these issues.